The Blue Ridge Bible Conference began as a young people’s camp in the summer of 1941. 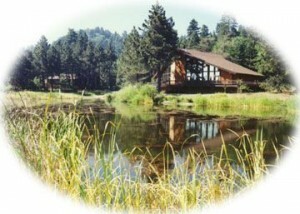 The first camp was held at Acorn Lodge, in Wrightwood. Dwight Poundstone was a principal figure in the establishment of the Bible conference, and he acted as dean for many years. Blue Ridge is a mountain that looms over Wrightwood to the south, and the bible camp was named for it. Attendance at the camp gradually increased through the years, the character of the camp changed to include people of all ages, and the location of the camp changed a number of times. Despite these changes, the name ‘Blue Ridge Bible Conference’ has continued to be used to the present. In the early years of the camp there was only one Orthodox Presbyterian presbytery on the Pacific Coast, and people attended the Blue Ridge Bible Conference from both northern and southern California. 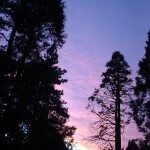 The conference has been held at a number of sites during its history including Camp Sierra (near Big Creek and Shaver Lake), Hume Lake, Camp Maranatha, Canyon Meadows, Thousand Pines, and currently, Pinecrest Christian Conference Center. The original presbytery that extended from Canada to the Mexican border divided into three presbyteries as the church grew. Today there are camps in each of the daughter presbyteries. The Blue Ridge Bible Conference attained something approximating its present form by the late 1950s and early 1960s. Children’s classes, fellowship times, general formats, and the basic structure of the camp organization were decided upon. In the 1980s bylaws were adopted, job descriptions for staff were adopted and implemented, and camp procedures were adopted and implemented. The camp organization that exists today has come about through a long process of development and refinement. The Lord has blessed the ministry of the Word at our conference through the years. It has also been a means of fostering fellowship between the Lord’s people of all ages in various congregations of our presbytery. Here is the 2015 Family Camp slideshow video. Photos were contributed by Joe LoGiudice and Jill Martin. Enjoy! Here is the 2014 Family Camp slideshow video produced by Santosh and Stephanie Philip. Photos were contributed by Stephanie Philip and Joe LoGiudice. Enjoy! Below is an extended version with more pic’s. Of course it is longer, so you may want to get some popcorn and a cool drink to get through it. Again, pictures contributed by Stephanie and Joe.